Under the Federal Arbitration Act, state law governs whether parties to a consumer contract have agreed to arbitrate any potential dispute. See, 9 U.S.C. §§1-16. The arbitration clause must inform the consumer that they are waiving their common-law and constitutional right to access of the judicial system. The determination of whether an arbitration agreement is valid is generally resolved by the courts unless the parties clearly delegated to an arbitrator, the decision on whether the arbitration agreement is valid. First Options of Chi., Inc. v. Kaplan, 514 U.S. 938, 944 (1995). The seminal cases in New Jersey on arbitration are Morgan v. Sanford Brown Institute, 225 N.J. 289 (2016) and Altalese v. U.S. Legal Services, 219 N.J. 430 (2014). In Morgan, the Supreme Court of New Jersey stated that an arbitration agreement will only be enforced if a party’s waiver of their right to sue in court is “clear and unmistakable,” and that a simple acceptance of an offer to arbitrate by itself is insufficient. Id. at 308. In Altalese, the Supreme Court of new Jersey refused to enforce the arbitration agreement because it did not state the “plaintiff is waiving her right to seek relief in court,” “explain what arbitration is,” or “indicate how arbitration is different from a proceeding in a court of law.” See, Altalese, 219 N.J at 446. The Altalese Court based their ruling on the fact that a layperson may not know what arbitration is. Id. at 442. Since then though, New Jersey courts have moved away from the “layperson” rationale and have invalidated arbitration clauses in commercial contracts between sophisticated parties, including a real estate contract negotiated by counsel. See, Dispenzier v. Kushner Companies, 438 N.J. Super. 11 (App. Div. 2014); see also, Rosenthal v. Rosenblatt, C-156-12, 2014 WL 5393243 (App. Div. 2014). (3) Conditions and exceptions to the main promise of the agreement shall be given equal prominence with the main promise, and shall be in at least 10-point type. 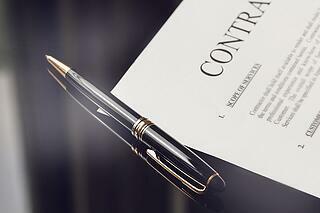 If you have legal issues regarding contract or arbitration disputes, we may be able to help. If you are unsure of your legal rights, please give us a call for a free consultation. We have office locations in Wayne, Hoboken, Newark, and Hackensack.